Get your ticket punched for a ride you won’t forget as UNCLE PETE helps you board the Night Train To Terror! It’s a free trip for all viewers this week on THE DARK VAULT OF PUBLIC DOMAIN as God and Satan ride the train (in an executive compartment, of course) and discuss the redeeming and unredeemimg qualities of man. What follows is a compilation of three films whittled down to three short stories of terror, horror, and general nastiness. First up is The Case Of Harry Billings, a gory tale of organ harvesting in an insane asylum. Next is The Case Of Gretta Connors about an exclusive club for death fanciers. Then finally there’s The Case Of Claire Hanson which pits an apprentice of Satan against some nicer immortal types out to stop the destruction of mankind. Some of the featured players include Cameron Mitchell, John Phillip Law and a man billed as Charles Moll, known better as Richard Moll, who played the lovable, clueless court bailiff Bull in TV’s Night Court (although he’s anything but lovable in this film). And according to the credits there’s also God – played by Himself, and Satan – played by Lu Sifer. 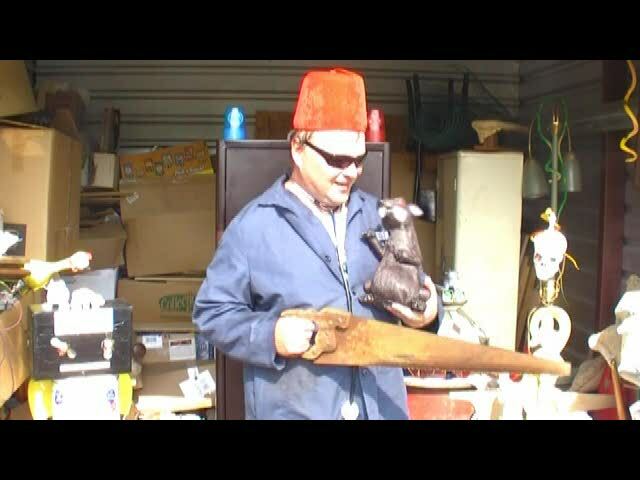 UNCLE PETE is sorting through a warehouse behind one of the many VITOSHACK (tm) Outlets and has discovered a treasure trove of many wonderful things including the old time machine he built back in Mad Scientist Junior High. 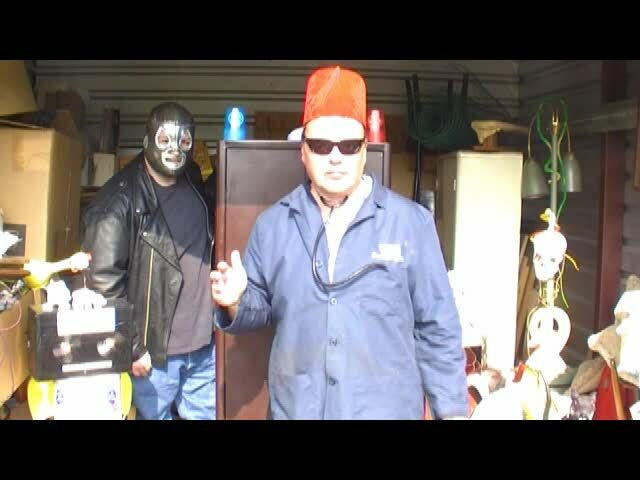 Max is there, and El Vato pops in during the reading of some viewer mail. There’s also a Scopitone music video of Della Reese singing If I Never Get To Heaven. So join UNCLE PETE this Saturday, September 17, 2016 from 10PM to midnight on channel 4, channel 17, and channel 99 in Binghamton, Sayre/Montrose, and Elmira/Corning/Hornell/Utica/Rome, respectively with replays at midnight and 2AM. And rumor has it that we may be airing for the first time ever in the Massena and Malone areas in New York’s northern tier. It’s the forgotten 1985 feature Night Train To Terror on the next THE DARK VAULT OF PUBLIC DOMAIN! ~ by UNCLE PETE on September 17, 2016.